Tierra del Mar invites you to celebrate your special moments with us at Holbox. We will take care of you, day by day, even before your arrival. You only have to think at enjoying your stay on the island! Take off your shoes and send away the problems of your daily life, you will find yourself in an unusual place, not for everybody. Honeymoon, anniversary and birthday… unique moments, to be celebrated in unique places like Holbox, surrounded by the natural beauty of the island and its relaxing atmosphere. 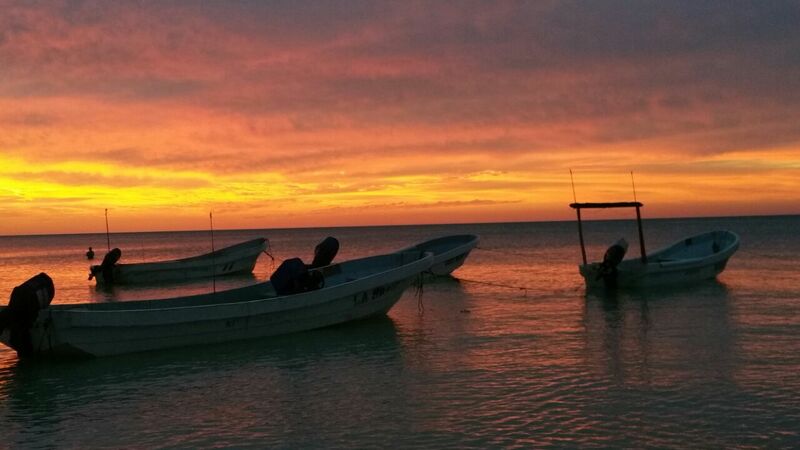 A romantic dinner on the beach after a magic sunset, a boat tour to explore the virgin beaches of the Yum Balam Natural Reserve, a professional therapeutic massage directly in your room. Many are the activities you can experience at Holbox: you only have to choose how to spend your time here, we have the responsibility to accomplish your requests, to make this day even more memorable. Our packages usually include a 4-nights stay (continental breakfast included), transfer service from Cancun airport or any other location in the Riviera Maya directly to the Hotel’s door, aromantic dinner on the beach or one of the different experiences available. To receive a special offer, please fill in this booking form and specify your request.